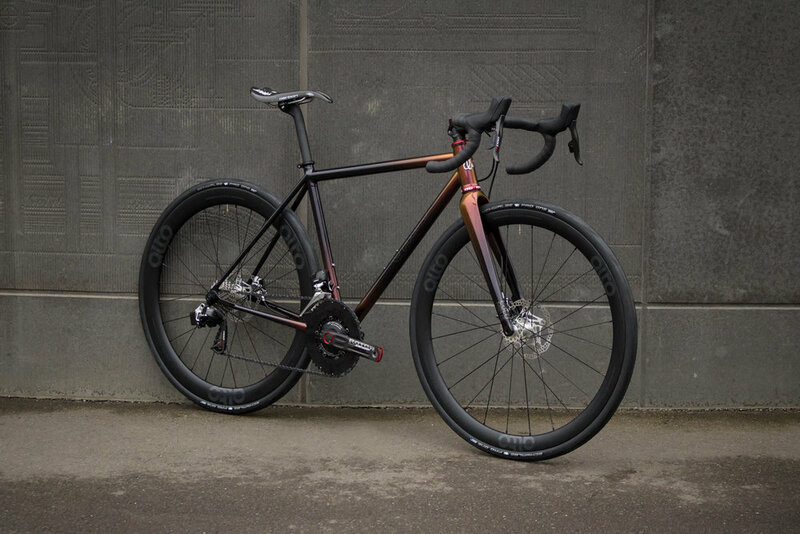 Maxim's XCR All-Road — Quirk Cycles | Custom Steel Bicycles Handmade in London by Framebuilder Rob Quirk. 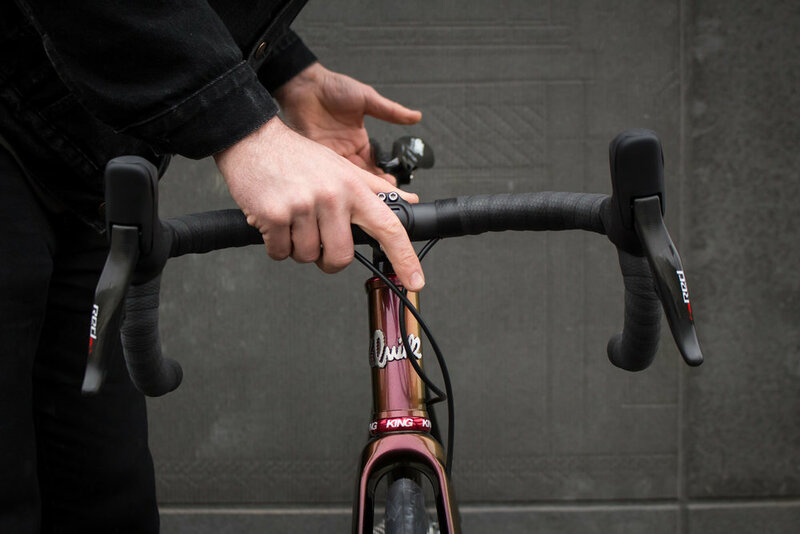 Maxim had already decided that our All-Road model would best suit his needs but wanted to have the worry-free benefits of a frame built using stainless steel. Columbus XCr was our choice for it's great strength, weight and corrosion resistance. 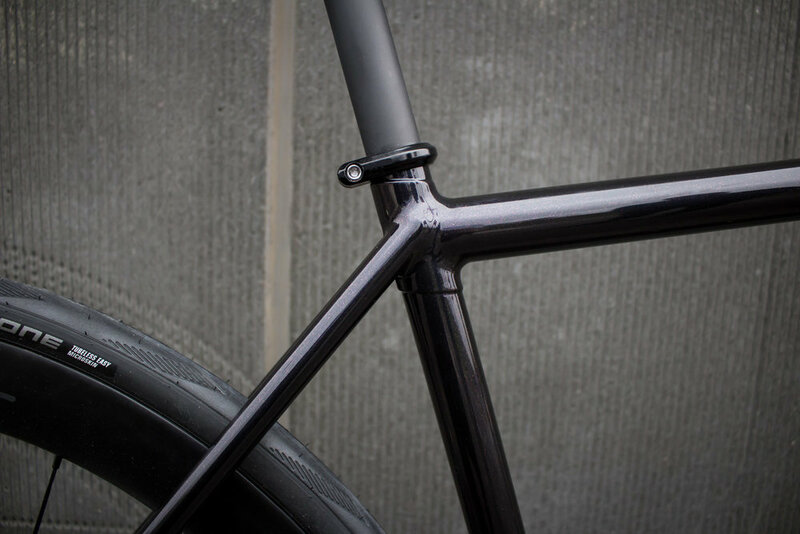 We kept the profiles smaller to deal to have a bit more flex over the rough stuff and to make the ride less harsh under Maxim's weight. 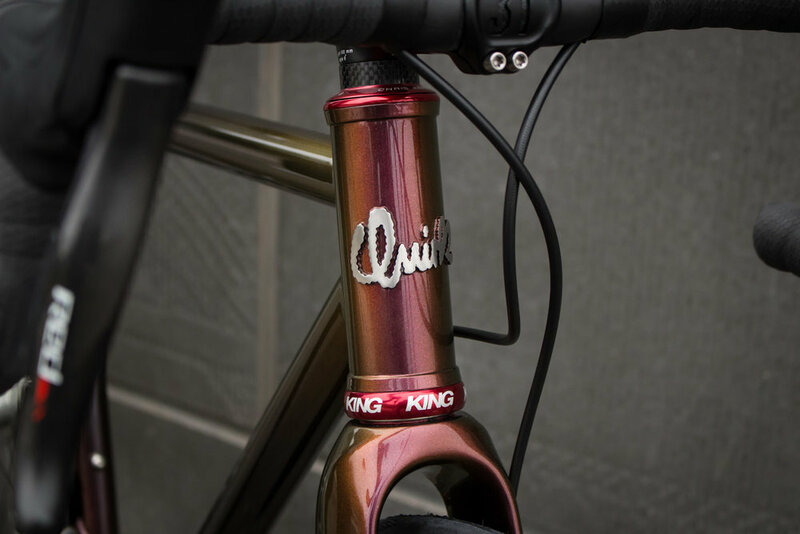 The Columbus Futura Gravel fork takes care of the front end giving us great clearances and the right amount of stiffness with the 1 1/4" tapered steerer. The finishing kit for this build is quite simply phenomenal using some of the best components you can buy. 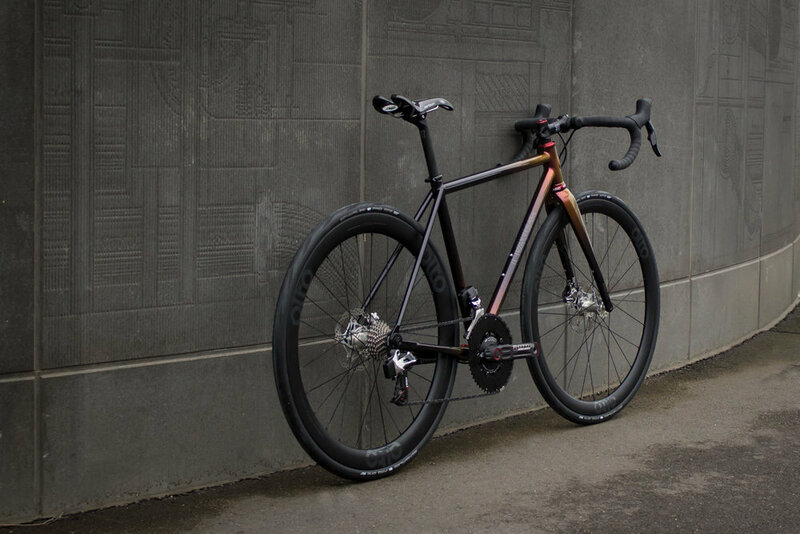 SRAM eTap Hydro for the group was the only way to go, along with Rotor INpower meter and limited edition stealth Q-Rings, all finished off with 3T Stealth Ltd carbon post and bars, a SMP carbon saddle and a YBN molten-speed wax chain. Of most interest though are the wheels built by DCR. Opting for a set of Alto rims, these are laced to the remarkable Onyx hubs, remarkable not for their weight (which is light) but for the rear hub tech. The freewheel of these hubs put to use spray clutch technology which results is drag free, instant pickup and completely silent hubs. Not a single click to be heard! As always Cole Coatings executed a stunning job of the paint, using chromaflair paints to achieve two-tone maroon to orange tones over a deep cosmic black with red pearl. This paint gets better each time you look at it!